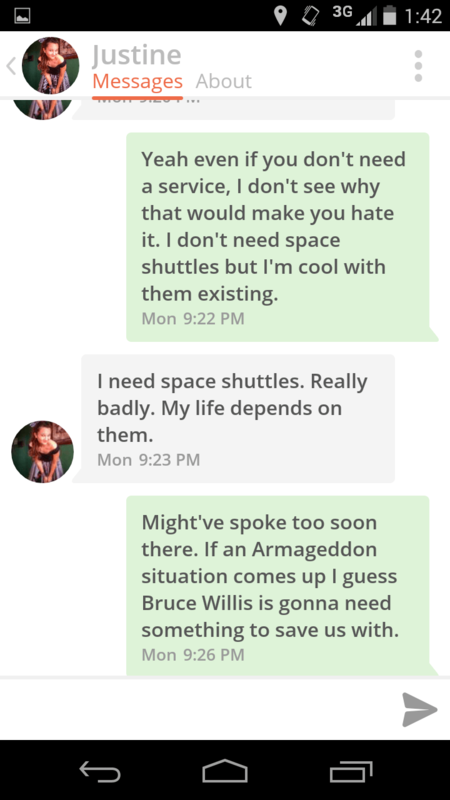 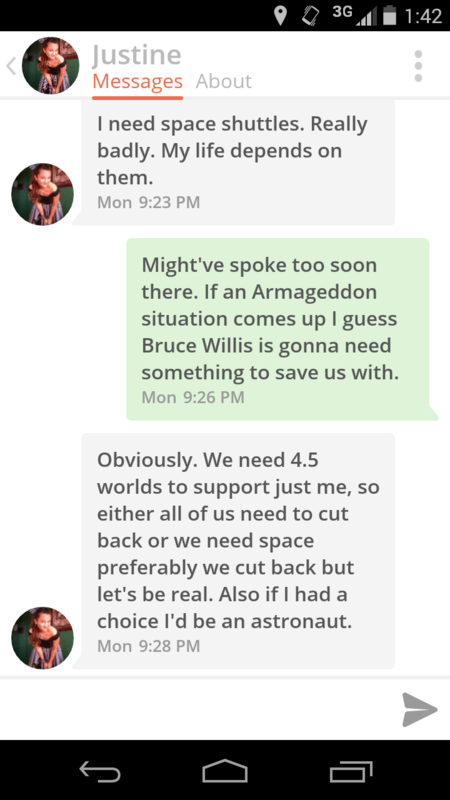 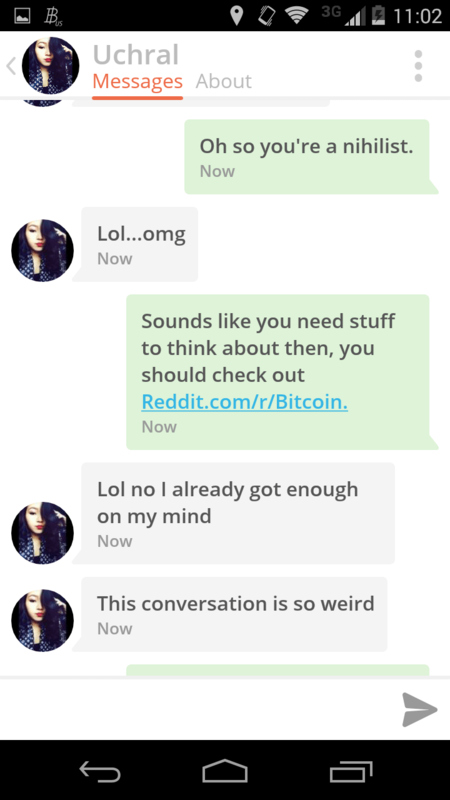 That’s when I stumbled across a thread in /r/NBA where someone went on Tinder asked random matches to give their predictions on the upcoming NBA season. 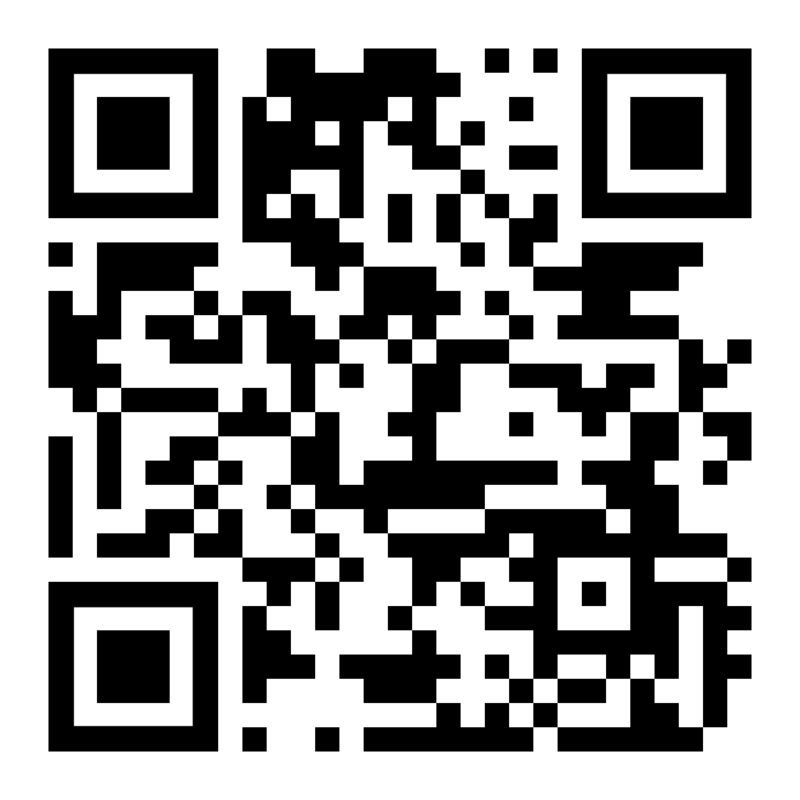 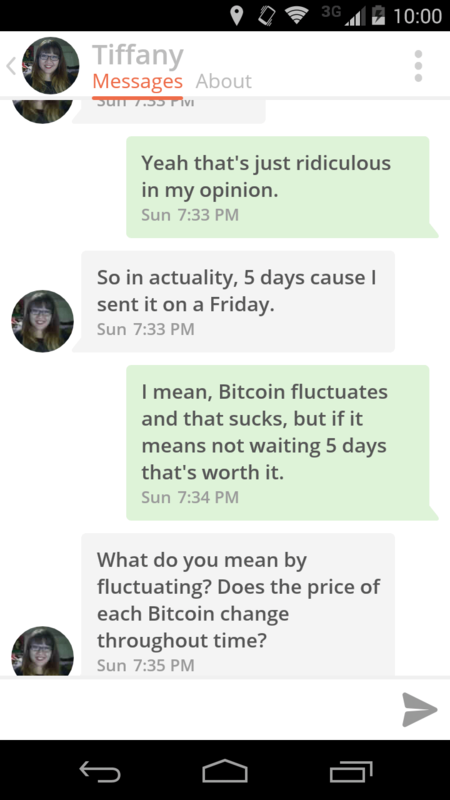 I thought it was hilarious and figured why not try the same thing with Bitcoin. 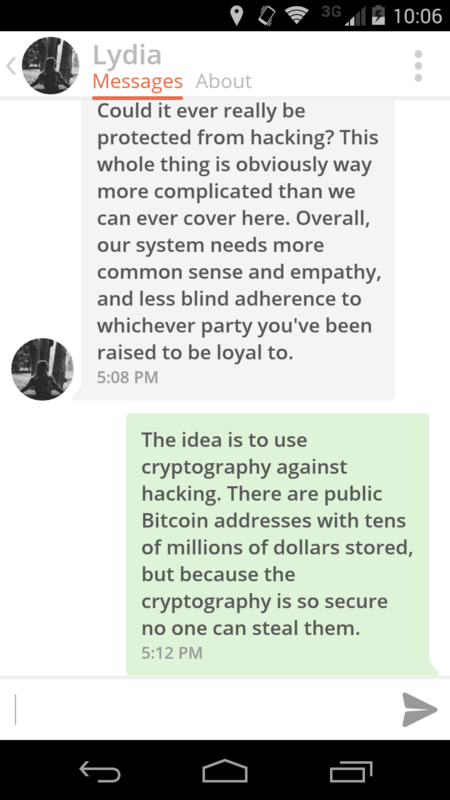 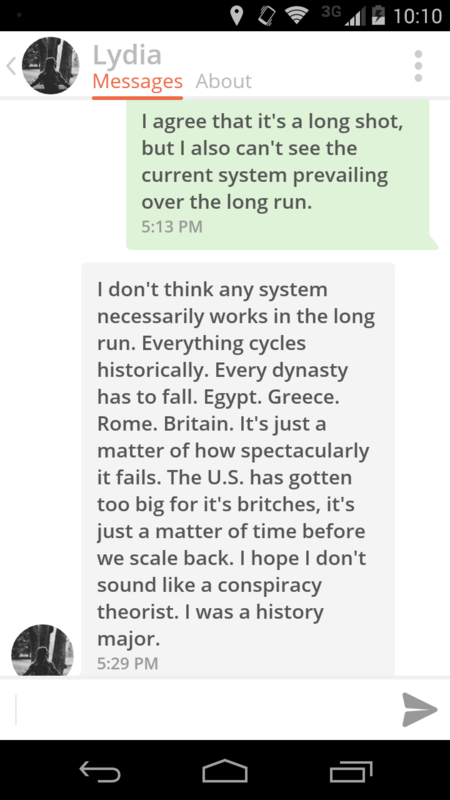 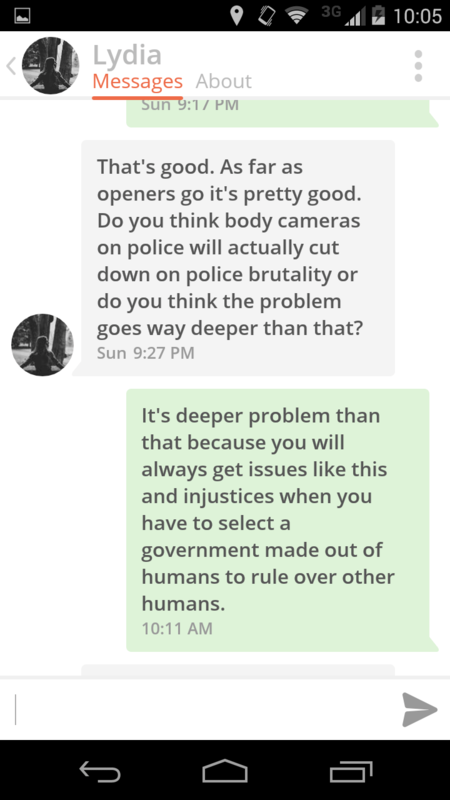 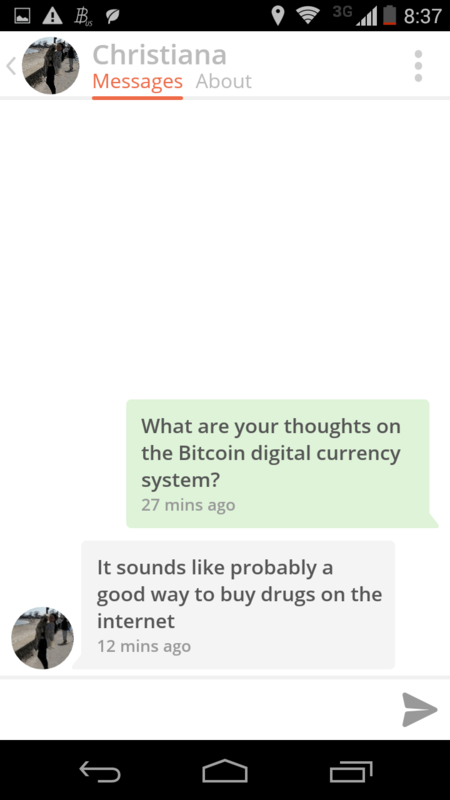 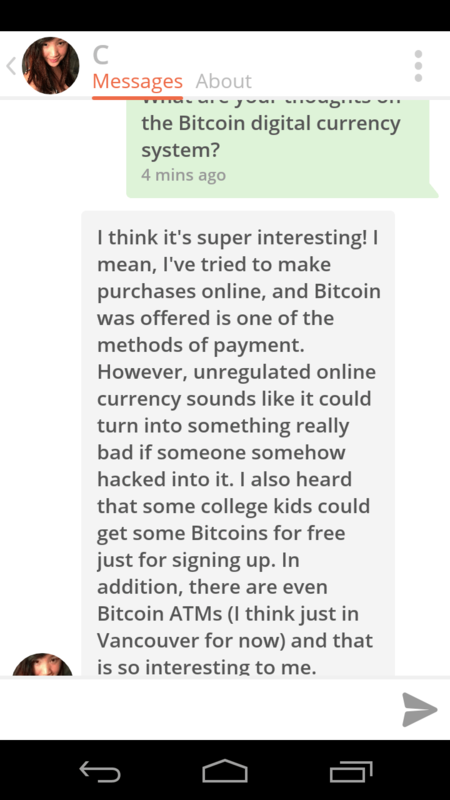 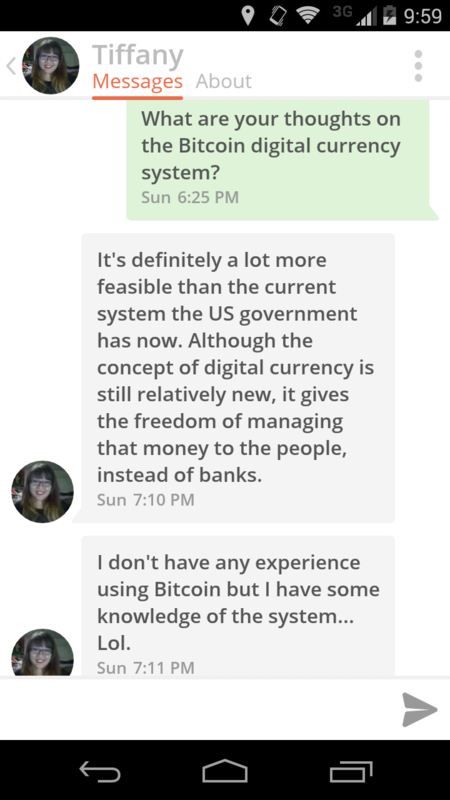 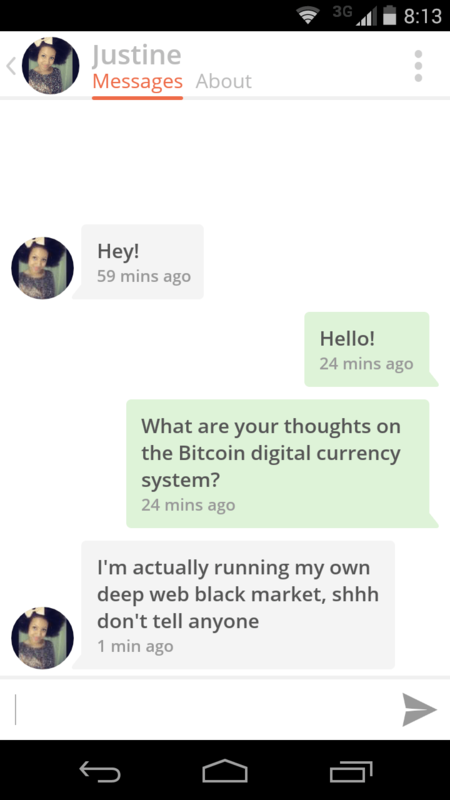 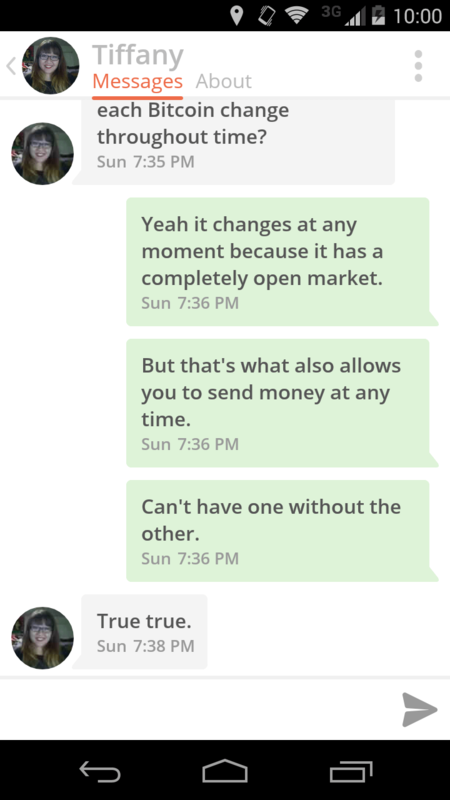 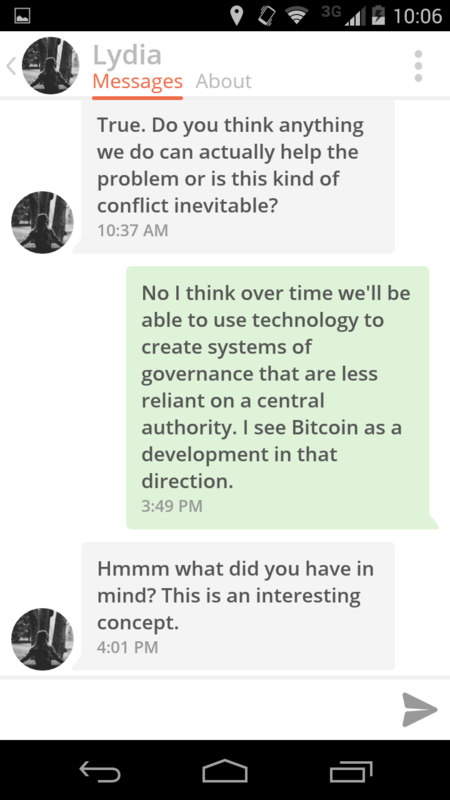 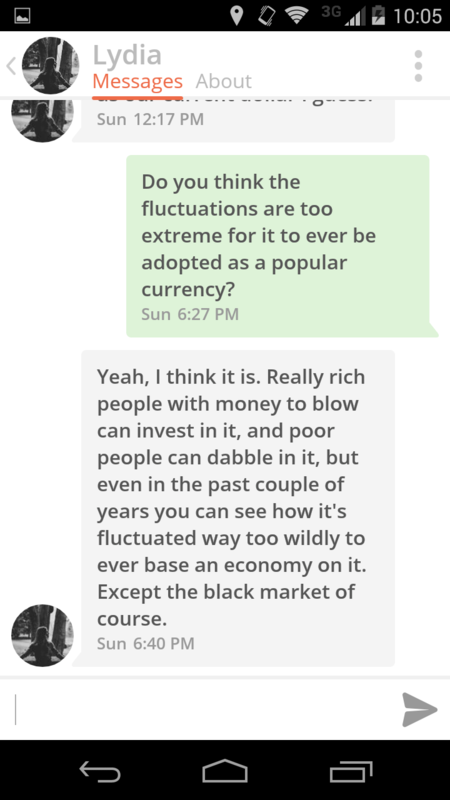 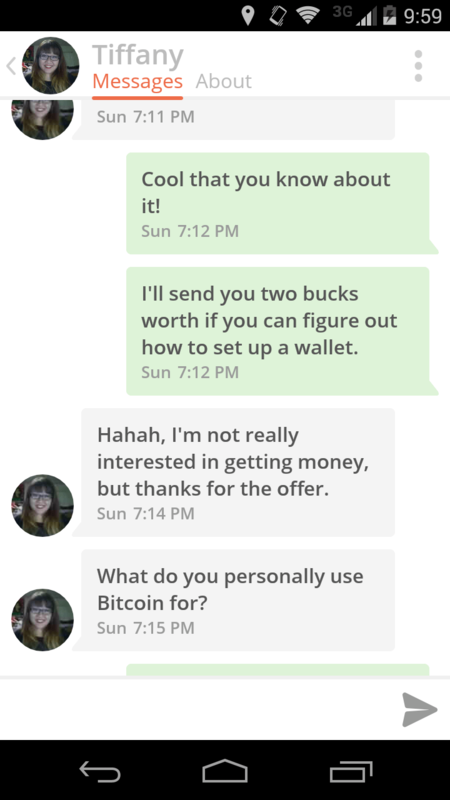 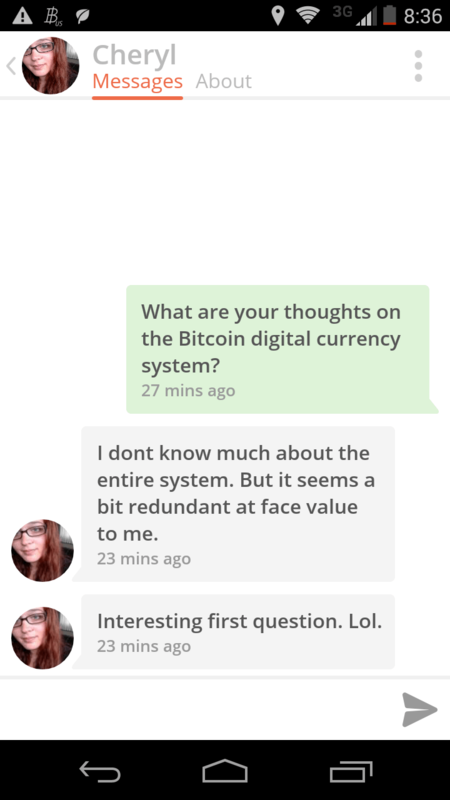 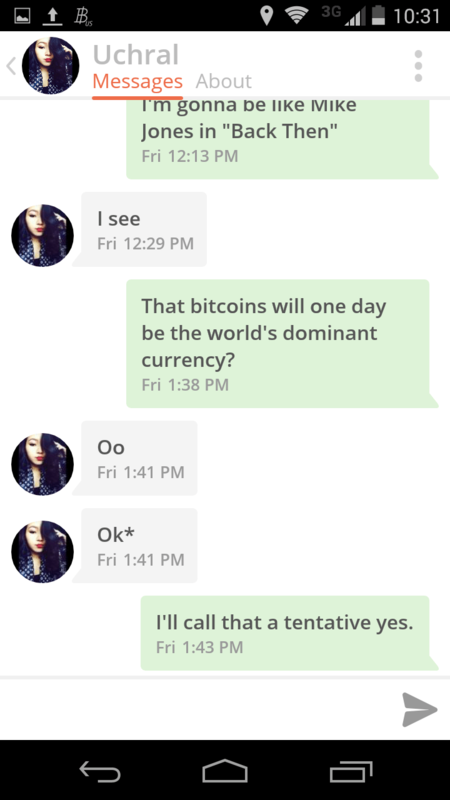 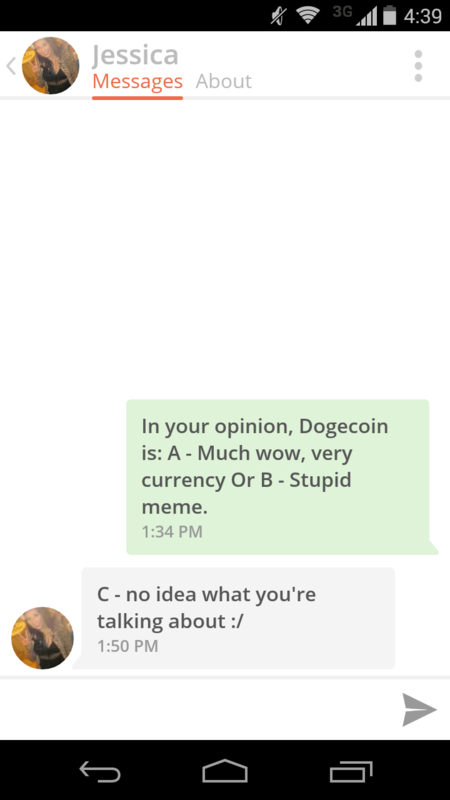 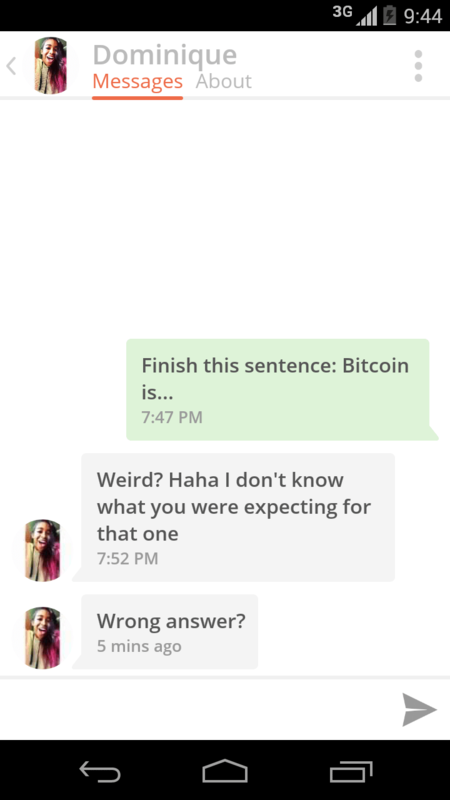 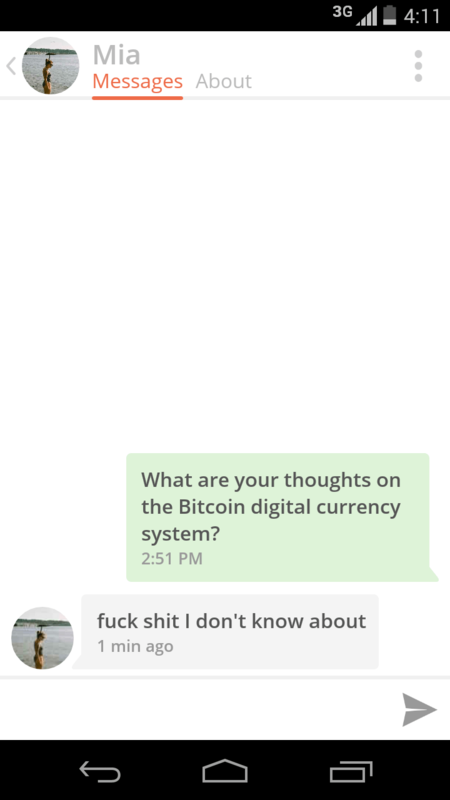 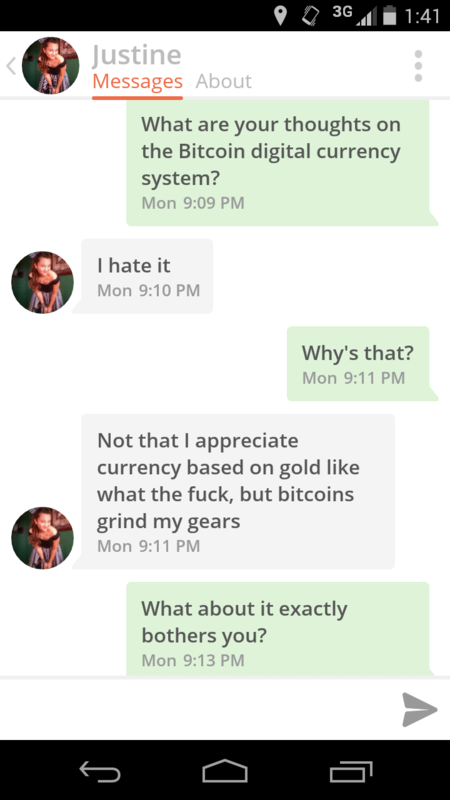 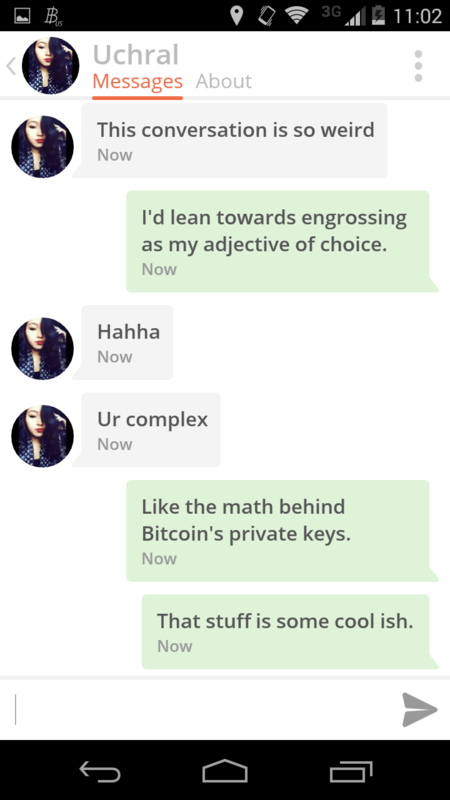 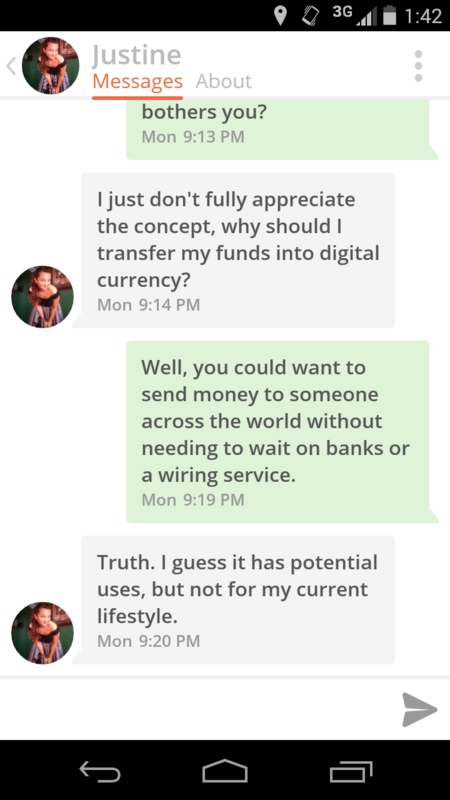 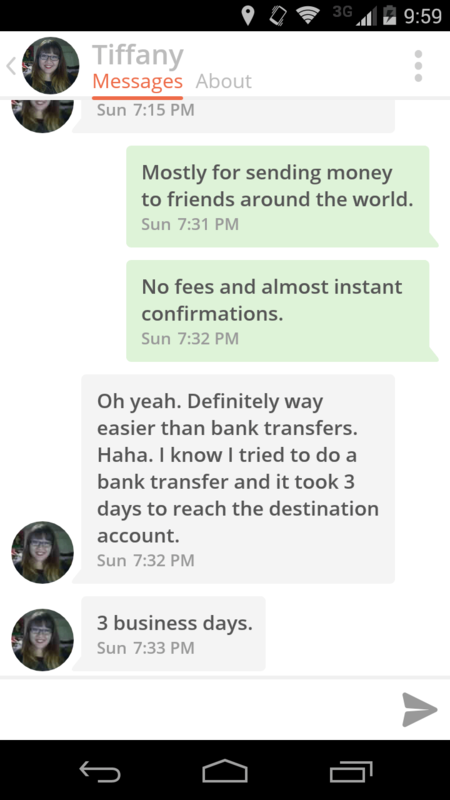 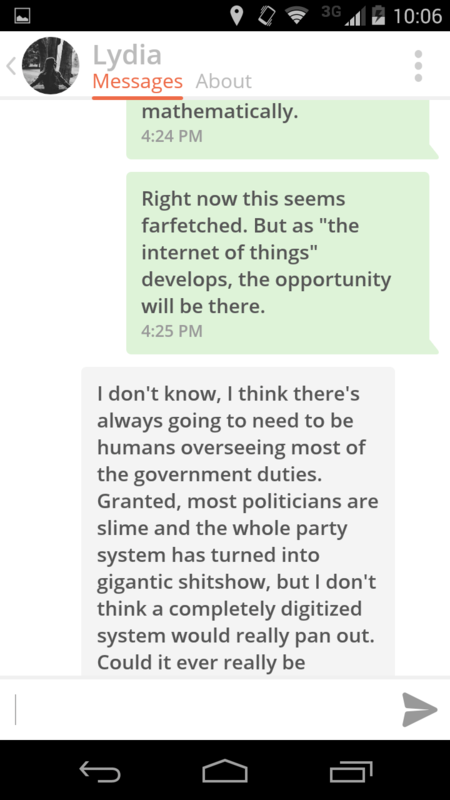 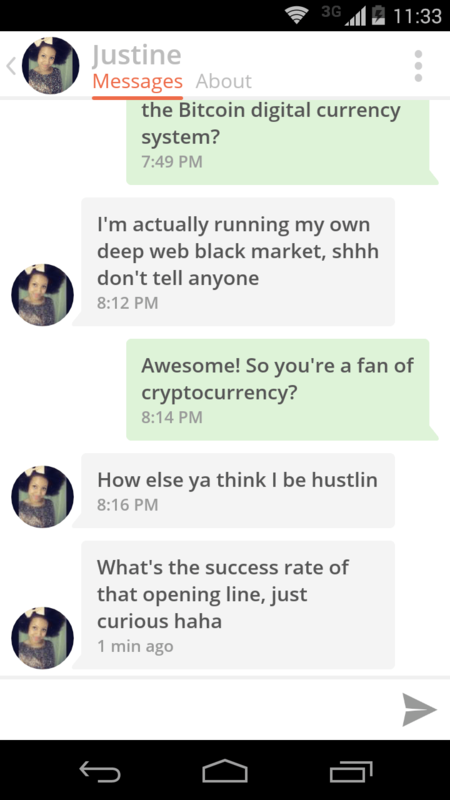 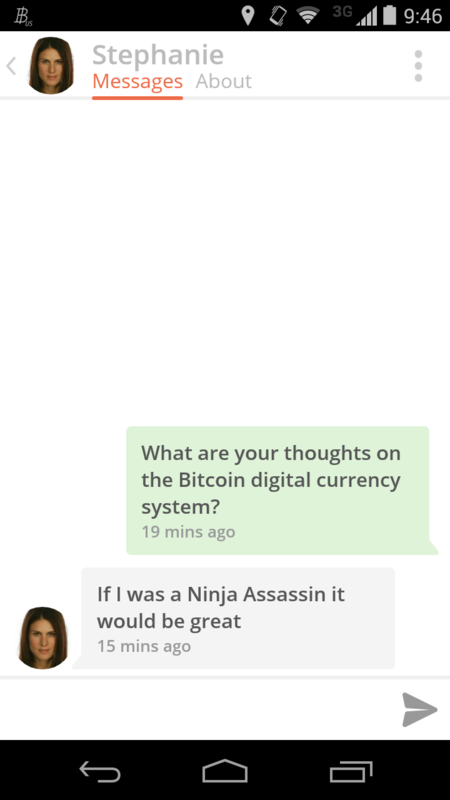 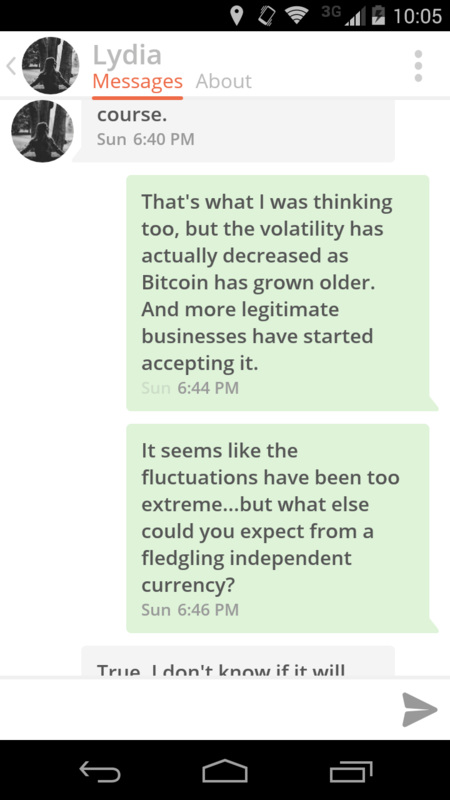 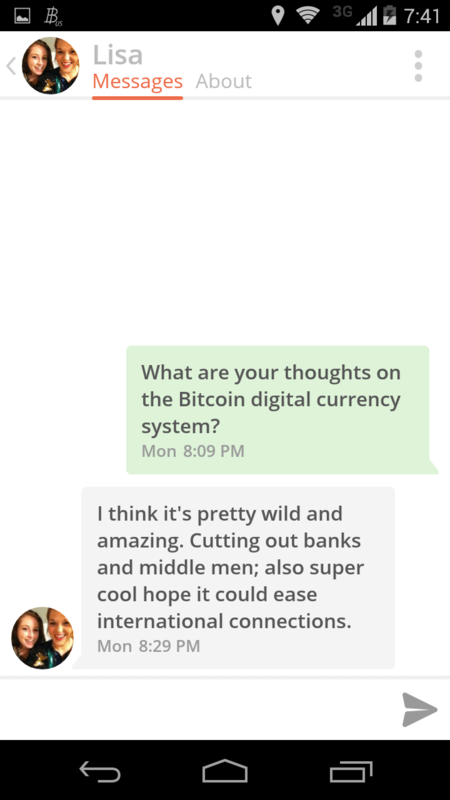 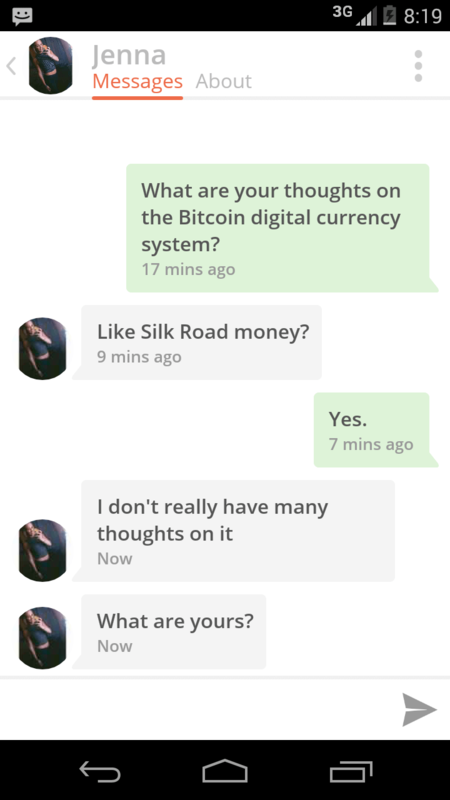 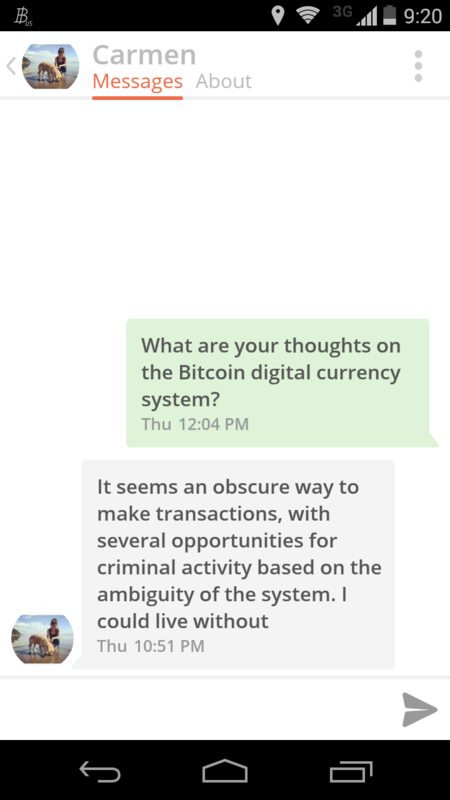 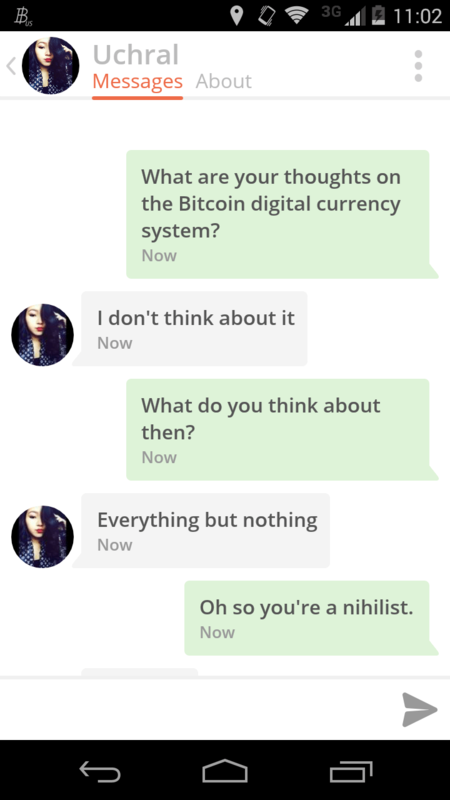 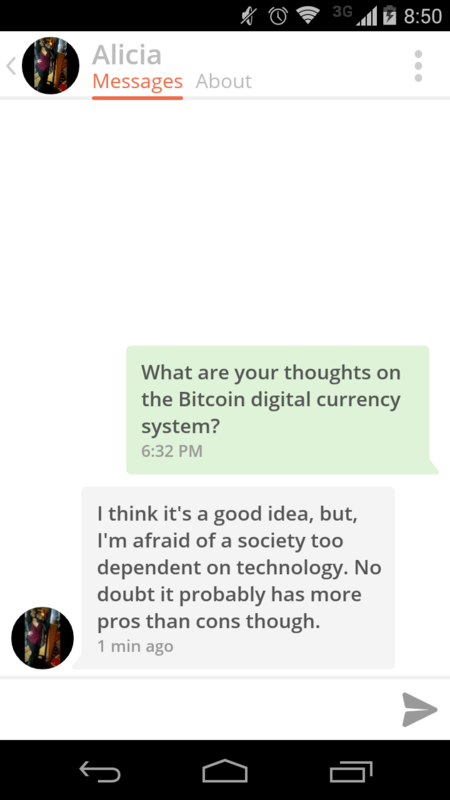 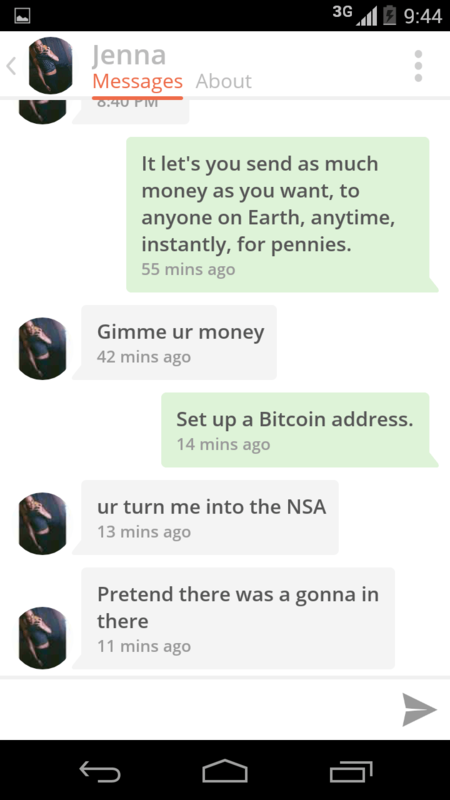 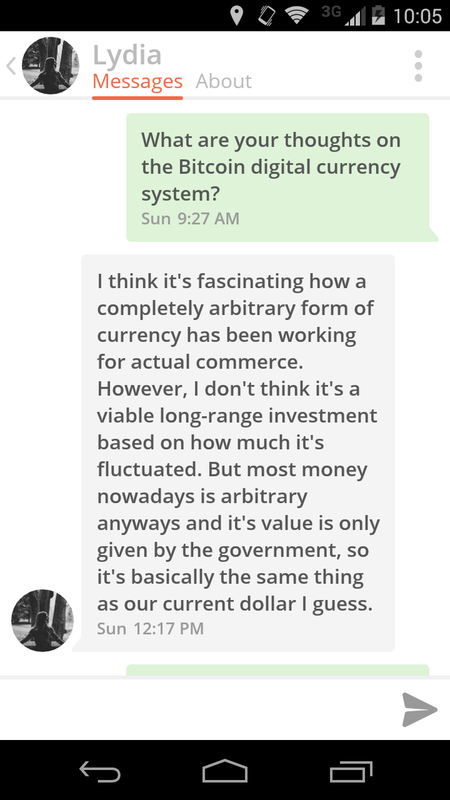 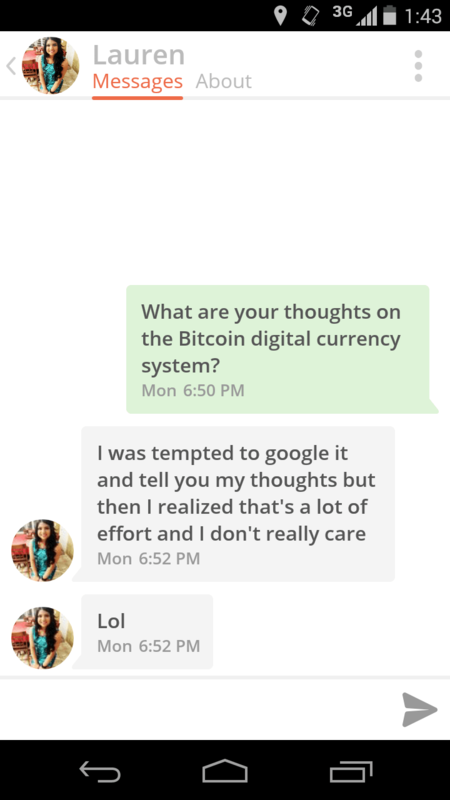 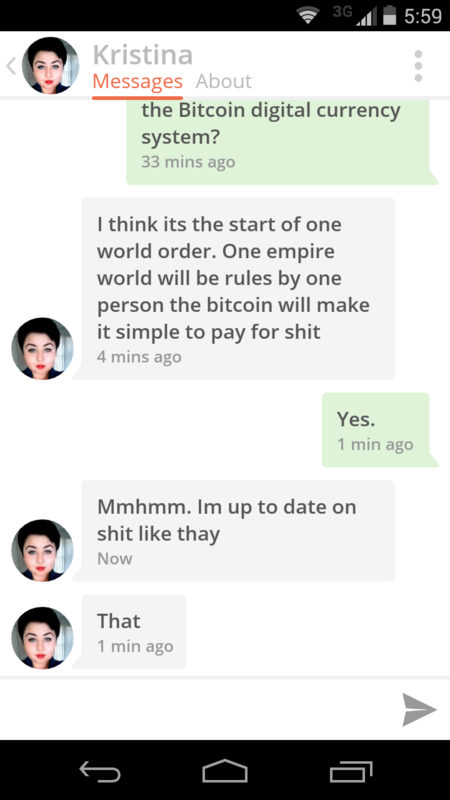 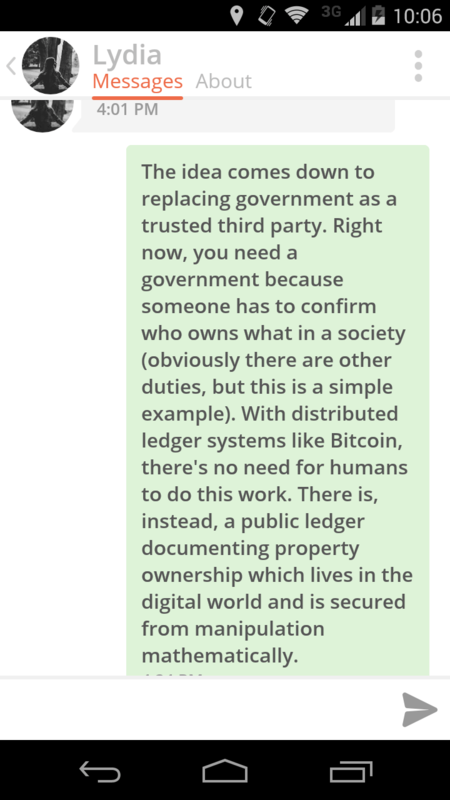 Over the course of the next month I set up a Tinder and proceeded to ask matches a simple question: What are your thoughts on the Bitcoin digital currency system? 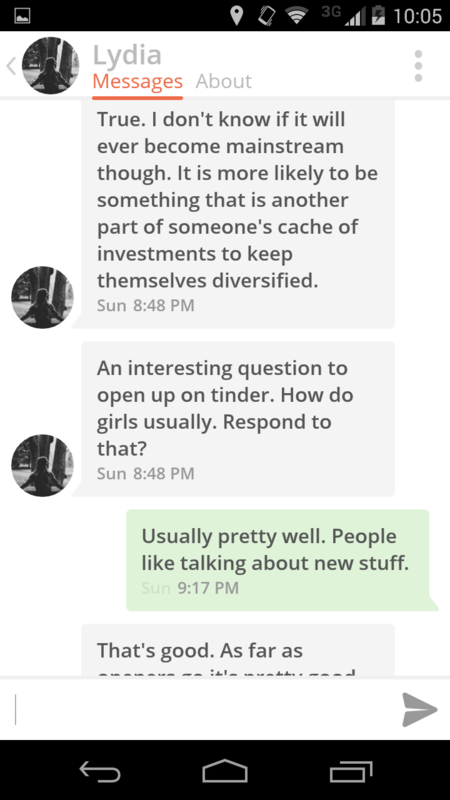 I thought the answers were great and tried to pitch to some publications, but no one wanted to pay for a bunch of screenshots (makes sense). 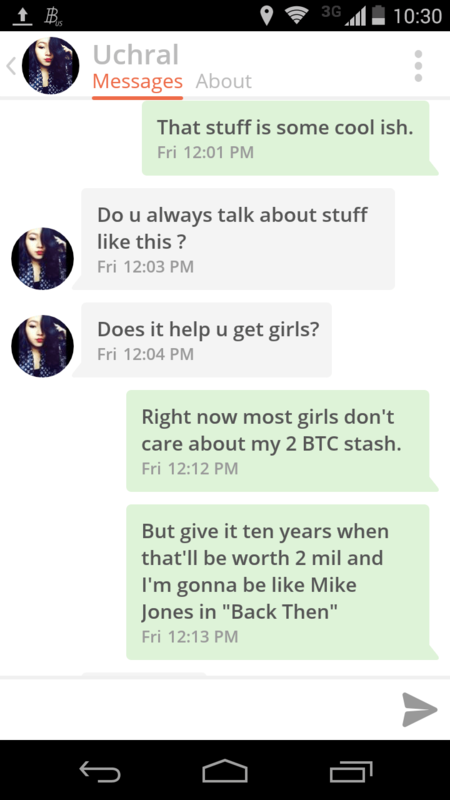 So instead I threw them up on Imgur with a donation address and posted it to /r/Bitcoin. 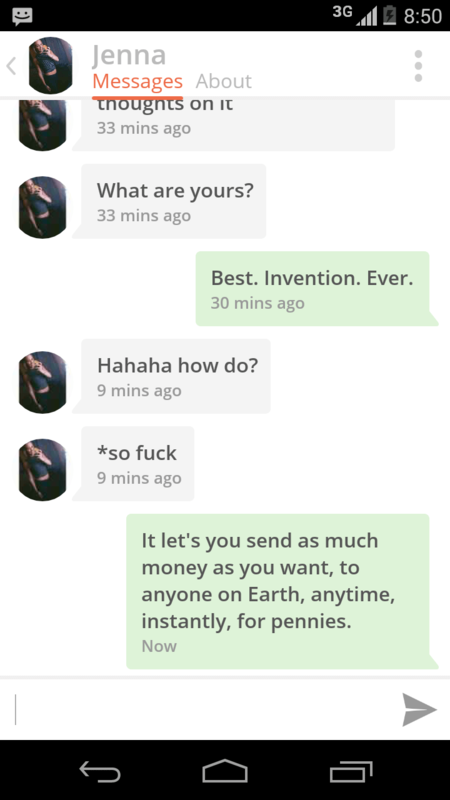 It actually got a little traction and some donations, so I considered it a great success.